This is the depth of the well in “le jardin d’Aurillac”. A useful supply of fresh water for young fruit trees and, if the water proves to be clean, for vegetables and soft fruit. Young fruit trees need twenty liters of water once a week during the summer months, I was told by the Urban Orchard Project when we planted a pear tree in London. With a well containing around eight cubic meters (8,000 liters) in our garden, we have more than enough here in Aurillac to water the twelve trees or so which could be planted in the coming years. 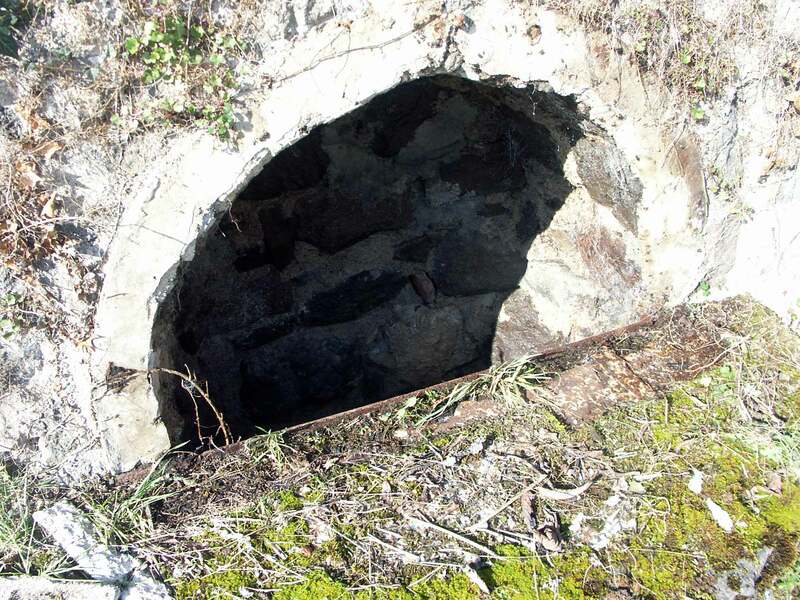 We can’t see on this picture yet the well is approximately one meter large in diameter and there are ten meters of water in it, which makes a volume of eight cubic meters. 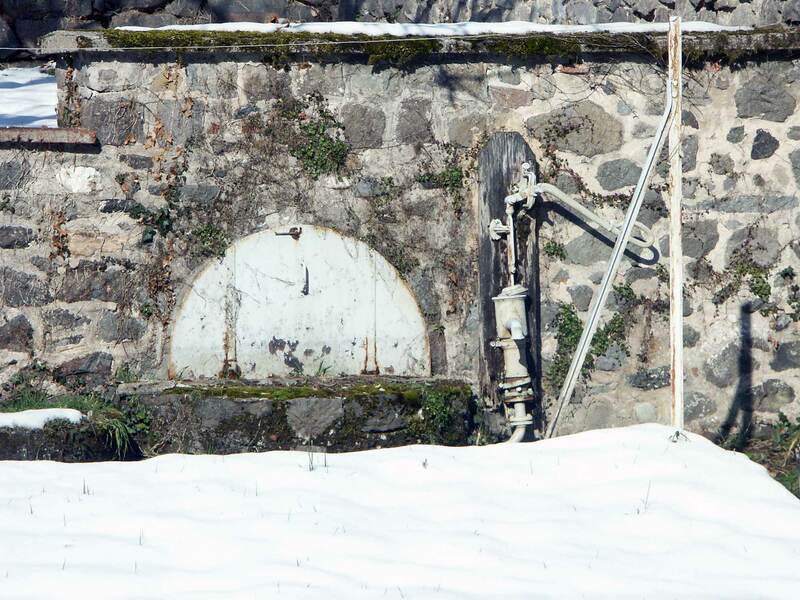 Recent snowfalls in the region, more than a meter in the mountains twenty-five miles away from Aurillac this week, made me think about slow infiltration of water in the ground from snow melting, which enables water tables to regenerate better. It reminded me that I wanted to measure the actual depth of our garden well. Next steps: have a sample of water analysed to see if we can use it to water salads and other strawberries. Also check at what speed the level of water comes back to normal after we have drawn let’s say a cubic meter of it from the well.